By Matt -- We’ve all got those one or two friends who are game for a road trip with zero notice. Do they have current passports that haven’t been revoked? Generally scrupulous and unwilling to make side-smuggling deals for quick cash? Ok, good. Now is the time to guilt them into the 2,100 mile road trip to end your of a lifetime. Pack up your duffel bags full of metric tools and find the cheapest one-way tickets possible to Ciudad de México. 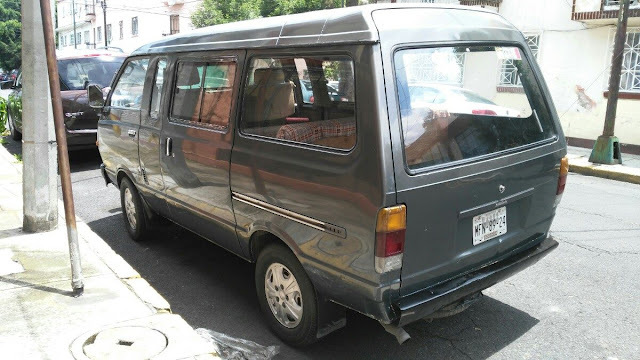 A camping van awaits your belongings for the next week or so as you hopefully arrive back stateside safely with this 1989 Nissan Ichi Van, via Mercado Libre in Mexico City for $39,950 Mexican Pesos, or right around $2,200 US dollars via today’s exchange rate. No doubt buying a return-less ticket to Mexico with the intent of driving a van of unknown quantity back home is a risky venture. But isn’t there some famous quote about risk and reward and it all being worth it? I haven’t bothered to look into it that far, but check out that sweet bull bar and extra windows scattered around the body! How could it not be worth the risk of possible abduction, diarrhea, or jail? 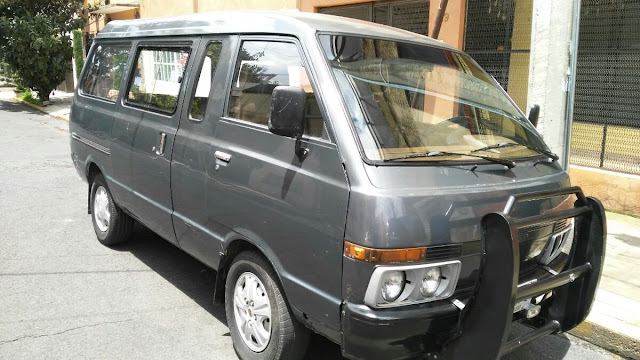 The first generation of the Ichi van, or Nissan Vanette, was imported to the US, however, there were a series of underhood ‘self-sustaining exothermic reactions’ - as they say in the industry - and resulting lawsuits that eventually doomed nearly all of them to the crusher. But the first generation Ichi is really the one to have; it’s got the right mix of 70’s style with utilitarian construction just begging for 2nd and 3rd world conditions. The motors in these vans were the 1.5L A15 or the 2.0L Z20. Either choice was a slow and trouble-free powerplant, if you could call it that. This version is the particularly slow longer wheelbase version. 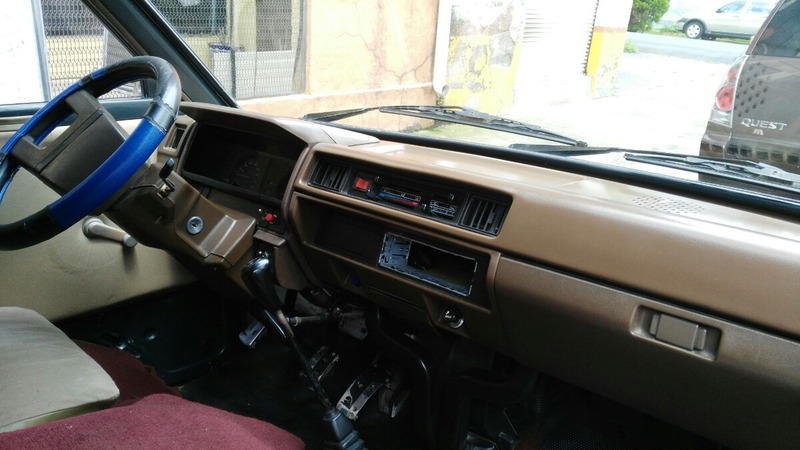 Regretfully, there are no interior shots aside from the shelf the driver sits on. One could dream of a sea of plaid with a small table, a couple of jump seats, and a sleeping area. The prospect of a cross-Mexico road trip does sound as problematic as it does rewarding – in fact a few acquaintances of mine just returned alive from a month long surf trip to Baja – in a 1986 Toyovan. It makes you want to pack a bag full of pesos and get out of town for a completely unknown amount of time. Is that a two spoke steering wheel or a steering wheel with one big spoke with a hole in it?